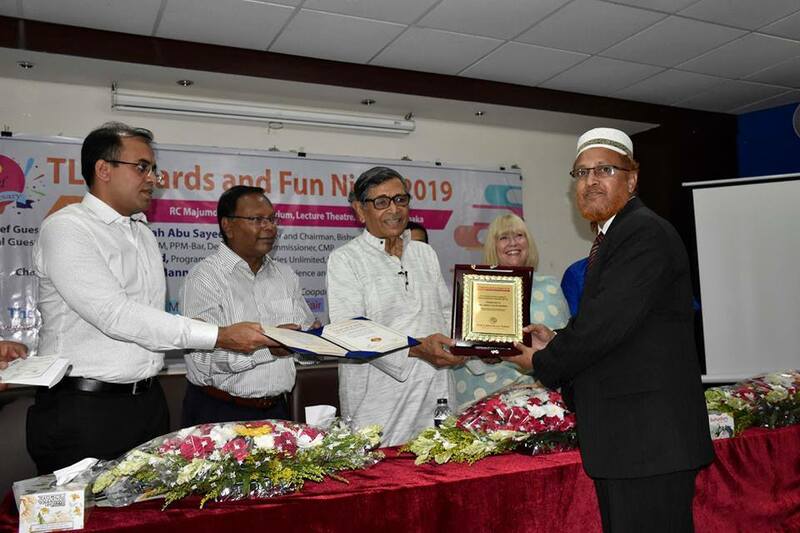 Prof Abdullah Abu Sayeed, Founding President of Bishwa Shahitya Kendro has been chosen for the TLT lifetime award for his significant contribution to the society in Bangladesh. His foundation “Biswa Sahitya Kendra” a privately organised centre for promoting reading habits among students and the general public, movement to promote enlightenment and progressive ideas among people. 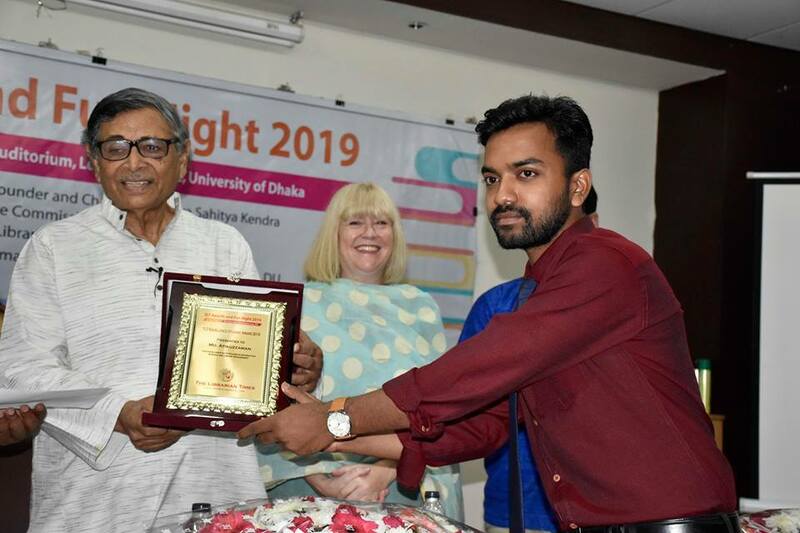 After the Award function, there was a panel discussion with eminent library professionals, and academics comprised Kazi Mostak Gausul Hoq, PhD, Chairman, Department of Information Science and Library Management, University of Dhaka; Md. Anwarul Islam, PhD Librarian, Sher-e-Bangla Agricultural University and Secretary-General of Library Association of Bangladesh (LAB); Professor Dr Md. Nasiruddin Mitul, Dean, School of Undergraduate Studies, National University, Bangladesh; Dr Dilara Begum, Chairperson & Associate Professor, Department of Information Studies and Library Management, & Librarian (In-charge), East West University; Professor Dr Md. Nasiruddin Munshi, Department of Information Science and Library Management, University of Dhaka and Dr Md. Nazim Uddin Senior Manager and Head, icddr,b Library and Sasanka Kumar Singha, Joint Director, Bangladesh Bank. Dr Md Anwarul Islam, Associate Professor, Department of Information Science and Library Management, University of Dhaka moderated the programme. The discussion was framed by a series of questions put to the panellists. Md. Abdul Hayee Sameni has been nominated for TLT Excellence Library Professional Award 2019. He has been serving the profession for more than 35 years. He obtained his master’s in library science from the University of Dhaka. The award selection committee has nominated Dil Ruksana Basunia for TLT Excellence Academic Librarian Award 2019 for her contribution to the Arena of Academic Library. She is currently working as Deputy Librarian in the Central Library of the University of Chittagong and fairly very young for the position among others. She has prepared a project on ‘Central Library Automation Project’ and established a cyber centre under this project in the first phase. She organizes training and workshops for the staff and students as part of professional development and enhances user engagement in the library. The award selection committee has selected Md. Shafiur Rahman for excellence in his contribution to the arena of medical Library. He is working as a Senior Library Officer at the Library and Information Services Section of the International Centre for Diarrhoeal Disease Research, Bangladesh (ICDDR,B). He emphasizes strengthening knowledge and expertise on to manage and organize the digital library, handle the specialized tasks of massive digitization, storage and access of E-resources, digital knowledge mining, digital reference services, electronic information services, digital data curation, and manage the archive and its access. The award selection committee has chosen Md. Mubassir Ahasan for recognizing his accomplishment of an exceptionally high standard of expertise as a young library professional. He is working as a library in-charge at the Southeast University Library, and took initiatives to upgrade the systems and services, for example, online registration, Self-renew, Live Chat with users, and so forth. He has arranged the Library day program and awarded to the best library users both in faculty category and student category that may be encouraged the library professionals to enhance the user engagement. The Department of Information Science and Library Management of the University of Dhaka has nominated Md. Atikuzzaman for the TLT Young student award 2019. Mr Atikuzzaman has completed a Bachelor of Arts (honors) from the same department in this year by obtaining the highest CGPA (3.9 on a scale of 4.0. He has maintained outstanding result in all the semester during the program. In addition, he is an active participant in different co-curricular activities organized by the department, residential hall, and the University. Dr Mirza Mohd. 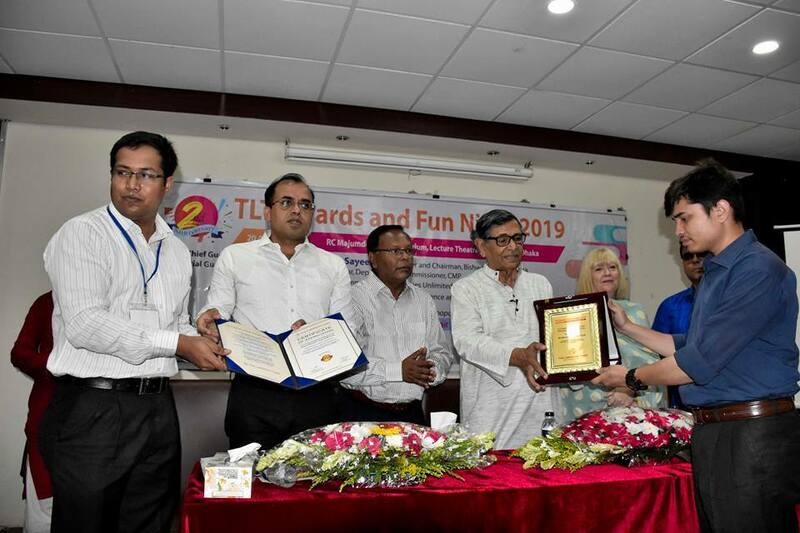 Rezaul Islam honoured with TLT Posthumous Award! The award marks Dr Mirza Mohd. Rezaul Islam for his indelible contribution to the library profession in Bangladesh. Dr Reza was born on 18 August 1959 at New Town in Netrokona district. He was the fourth son of Mirza Mohd Abdul Hannan and Ms Rahatun Nesa. His two sons; Mirza Mohd Asif Sakib and Mirza Mohd Tehzib Sadaf are studying Independent University of Bangladesh and Ahsanullha University of Engineering and Technology respectively. He obtained PhD in Library and Information Science from Jadavpur University, India in 1998. Prior to this, he completed a master degree in Library science from the University of Dhaka in 1984. A.D.M. 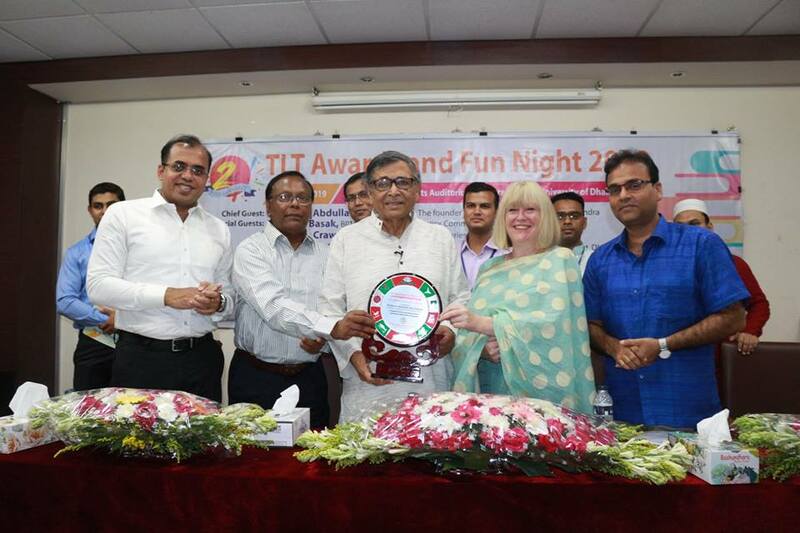 Ali Ahammed honoured with TLT Posthumous Award! The award marks A.D.M. 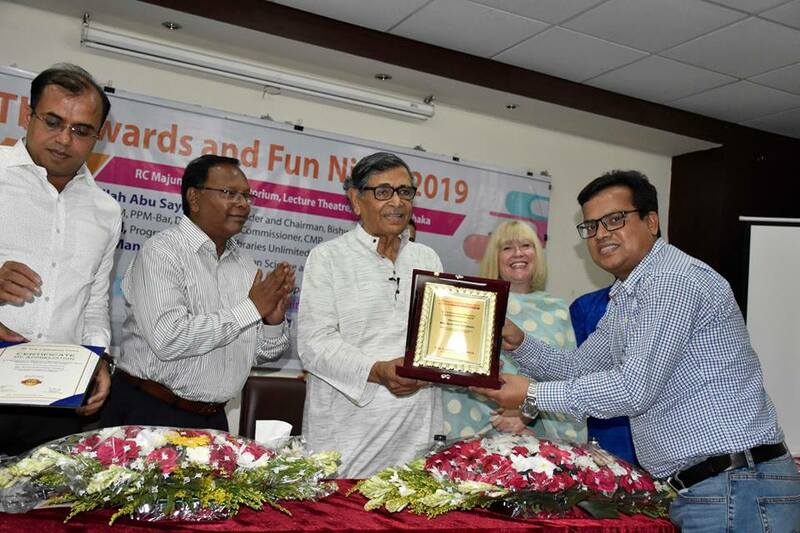 Ali Ahammed for serving, leading and his legendary contribution to the library profession in Bangladesh. He was born on 1 October 1961 in Longir village of Gafargaon Thana of Mymensingh. After completing primary education at the village primary school, he passed secondary school from he Kandi Para Asker Ali Bahumukhi High School in 1976 and higher secondary school from Kabi Nazrul Government College (Dhaka) in 1978. He obtained a Bachelor of Science degree in 1980 from Government Shahid Sahrawardy College (Dhaka). Later, he completed his master of Arts in Library and information science 1980 from the University of Dhaka. He also received a Bachelor of Laws degree from Dr Alim Al Raji law College in 1986. His career started as an Assistant Librarian in Bangladesh Institute of International and Strategic Studies (BIISS) in 1984. In 1991, he joined as Librarian at Mymensingh Govt. Library under the Ministry of Cultural Affairs. In all his Service life he served the Govt. diligently in many stations. In 2017, when working as Librarian (Admin & Accounts), Department of Public Libraries, Ministry of Cultural Affairs, Dhaka, Bangladesh, he joined to British Council (Bangladesh) on lien as Component Lead-Model Library, Libraries unlimited. 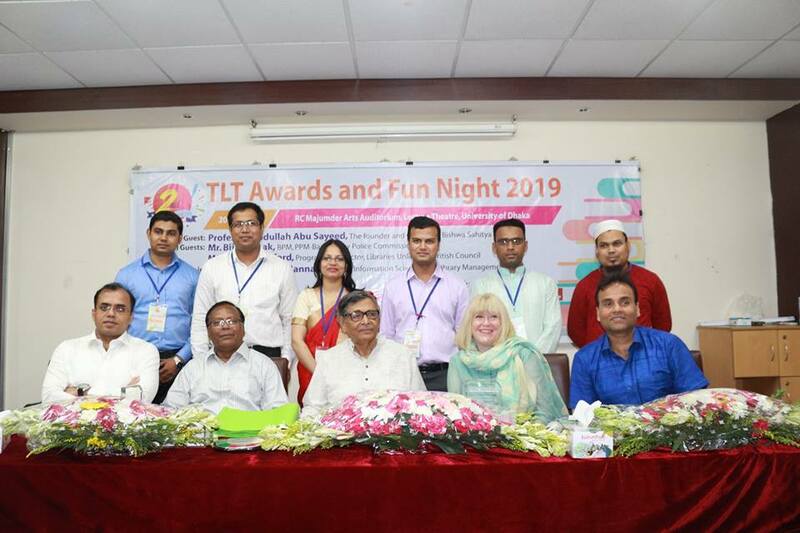 Prof Abdullah Abu Sayeed and LIS professionals honoured at TLT awards and fun night 2019! 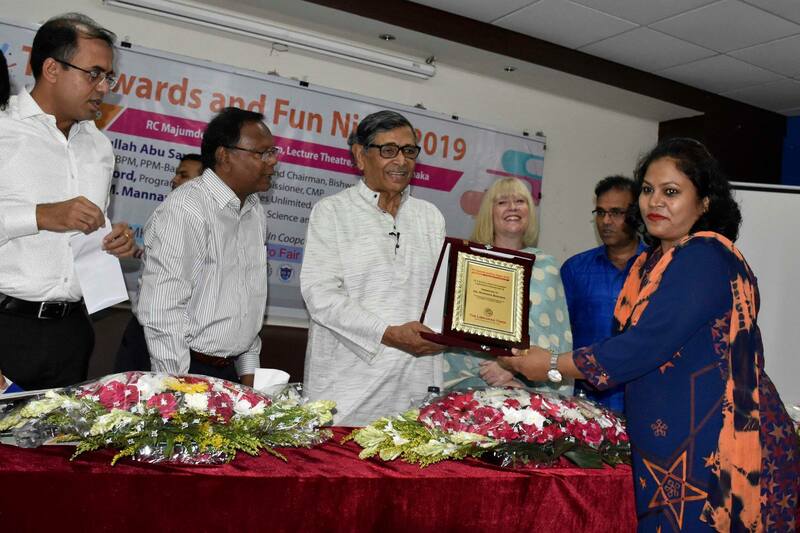 Bishwo Shahitto Kendro founder Prof Abdullah Abu Sayeed and library professionals were honoured yesterday in the award and fun night 2019 at RC Majumder Arts Auditorium, Lecture Theatre, University of Dhaka Bangladesh, Dhaka for their contributions to their respective fields. While unveiling the inauguration, the chief guest and keynote speaker – Abdullah Abu Sayeed said, reading enlightens the mind. He urged librarians to read works of noted personalities and dedicate themselves for the betterment of society. He was trying to focus that library study is art for developing a reading habit that would help create a knowledge-based society. He was honoured yesterday for his contributions to the society for promoting reading habits among students and the general public, movement to encourage enlightenment and progressive ideas among people. Sayeed’s dedication to reignite the passion for reading books among the youth and increase access to literature led him to found the Bishwo Shahitto Kendro in 1978. 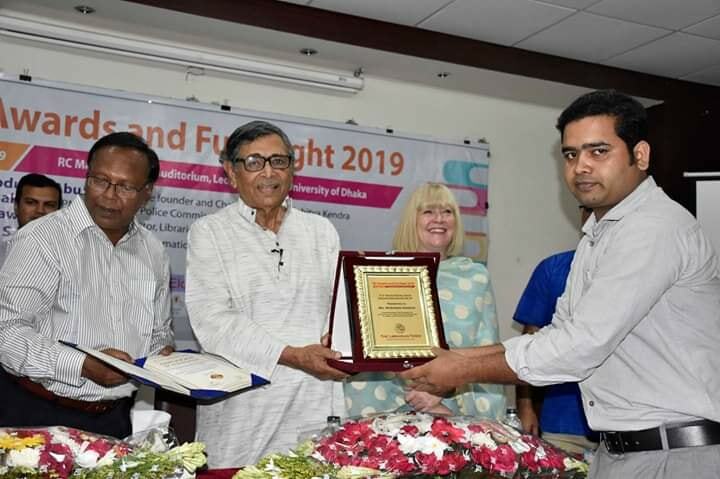 Earlier Prof. Abdullah Abu Sayeed, Founder, and Chairman, Bishwo Shahitto Kendro congratulated library and information science students and professionals from across the country. 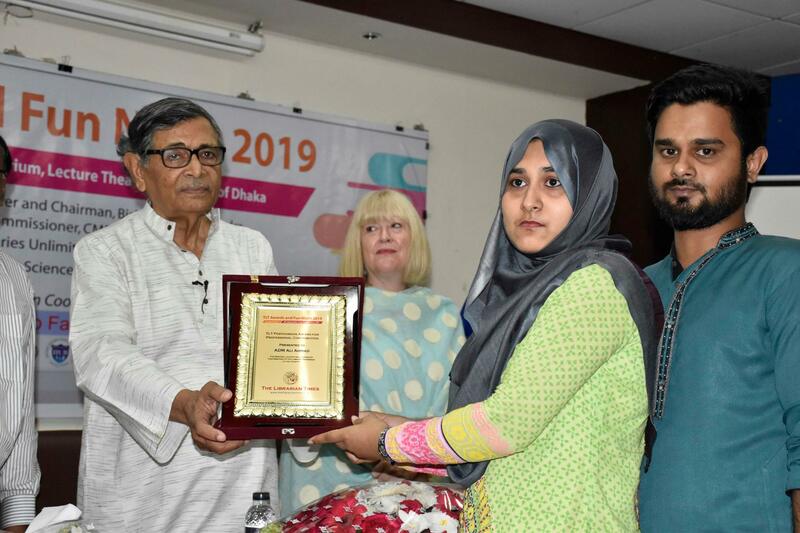 The ceremony saw seven professionals including one LIS student and two posthumous recognised for their outstanding commitment to serving the LIS community in Bangladesh. Prof. Abdullah Abu Sayeed presented the awards, to the winners. Earlier TLT award selection committee comprised Dr M. Nazim Uddin, Senior Manager, Library and Information Service Support Services, icddr,b; Kazi Mostak Gausul Hoq, PhD, Chairman, Department of Information Science and Library Management, University of Dhaka; Mohammed Khalid Alam, Chairman and Associate Professor, Department of Information Science and Library Management, University of Rajshahi; Razina Akhter, Chief Librarian, Bangladesh Shishu Academy and Minhaj Uddin Ahmed, Senior professional finalised the award winners. Kirsty Crawford, Programme Director, Libraries Unlimited, British Council, Bangladesh, and Bijoy Basak, BPM, PPM (BAR), Deputy Police Commissioner (North) Chittagong Metropolitan Police were present the event as the special guests. Prof. Dr. SM Mannan, Dept. of Information Science and Library Management, University of Dhaka presided over the function. The whole event was coordinated by Prodip Roy Editor in Chief The Librarian Times (TLT). In his inauguration speech he mentioned that “We are struggling with our demands when the developed world is working on modern technologies such as sophisticated BI, artificial intelligence, robotics, drone delivery etc. in their libraries and information centres.” He, therefore, urged LIS professionals to develop soft skills. After the Award function, there was a panel discussion with eminent library professionals, and academics include Md. Anwarul Islam, PhD Librarian, Sher-e-Bangla Agricultural University and Secretary-General of Library Association of Bangladesh (LAB); Professor Dr Md. Nasiruddin Mitul, Dean, School of Undergraduate Studies, National University, Bangladesh; Dr Dilara Begum, Chairperson & Associate Professor, Department of Information Studies and Library Management, & Librarian (In-charge), East West University; Professor Dr Md. Nasiruddin Munsi, Department of Information Science and Library Management, University of Dhaka and Dr Md. Nazim Uddin Senior Manager and Head, icddr,b Library. Dr Md Anwarul Islam, Associate Professor, Department of Information Science and Library Management, University of Dhak, moderated the programme. The Librarian Times (TLT) is the first ever and only professional online news bulletin in Bangladesh for the library and information profession. 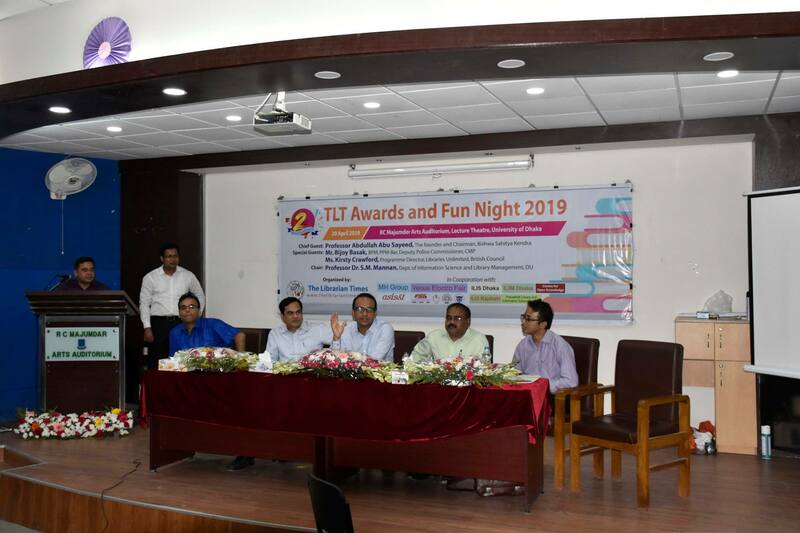 The board hosted Awards and Fun Night 2019’ to celebrate the second anniversary of TLT. The awards celebration is to encourage library professionals and current library and information science (LIS) students to recognise their enthusiasm, dedication and excellence to the library profession and the accomplishments of exceptional services at school, college, university and public libraries. This is a TLT initiative that aims to fill the gaps that lack professional recognition in Bangladesh. The event was one of the largest gathering point of the LIS professionals of Bangladesh’, where everyone had the opportunity to observe lively panel discussions, ask questions to panel members, get to know the award winners; encourage and cheer them, and inspire some networking and socializing with other professionals’ from different organizations, to participate in a quiz competition and chance to win gift hampers. The border aim was to reflect a positive approach towards the library profession of Bangladesh.